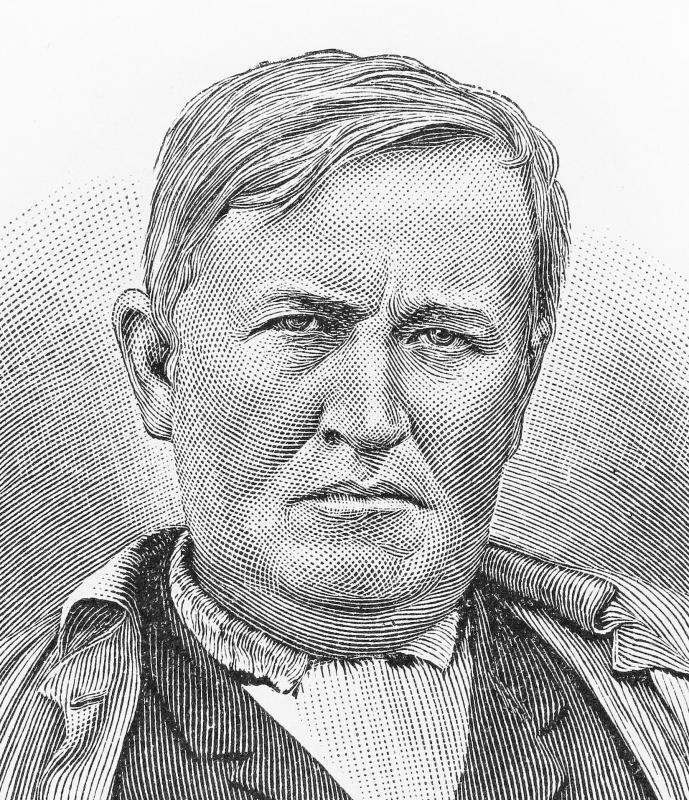 The mimeograph was invented by Thomas Edison in the late 19th century. Photocopiers and other types of printing devices have largely replaced the use of mimeographs. A mimeograph is a duplicating machine used to make copies by pressing ink through the holes of a stencil and onto sheets of paper. This type of machine is also known as a stencil duplicator, mimeo, or mimeograph machine. There are various kinds of mimeographs, including single drum and dual drum versions, and they can be powered by an electrical motor or hand cranked to produce copies without the use of electricity. The mimeograph was invented by Thomas Edison in the late 19th century, and mimeographs were widely used in offices, schools, and similar settings until the late 1960s when they began to be replaced by other duplicating machines, such as photocopiers and the offset printing press. Mimeographs are uncommon today, but are still favored by some users because they are cheap, reliable and simple to operate. The stencil used to make copies in a mimeograph is a flexible sheet made from coated material, commonly some type of waxed paper. To create a document to be copied, the stencil material can be put into a mechanical typewriter without ink. Typing each letter then punches holes in the material, creating a stencil. A stylus or other sharp implement can also be used to create images and other types of designs on the stencil material. The earliest mimeograph invented by Edison was a flatbed version, but this was soon replaced by mimeographs using rotating drums or cylinders. In a single drum mimeograph, the finished stencil is wrapped around and fastened to a cylinder that has been saturated with ink. Copies are made as the cylinder spins, pressing the ink through the holes in the stencil and onto sheets of paper that pass through the mimeograph. In a dual drum machine, the stencil is attached to a silkscreen belt that covers two cylinders. Rollers apply ink to the cylinders as they spin, and the ink is pressed through both the silk screen and the stencil onto sheets of paper to create copies. In a single drum mimeograph, multi-color images can be created by switching out the cylinder for one saturated with different colored ink. Today, photocopiers, laser and inkjet printers, and other types of printing devices and duplicating processes have largely replaced the use of mimeographs. However, mimeographs are still used in some developing countries because they are a cost-effective and easy way to make copies, and also because hand-cranked mimeographs can be used even in areas where there is no access to electricity. What Is a Photostat Machine? What is a Carbon Copy? Thomas Edison was a remarkable man. He invented a lot of diverse things. I had no idea that people could make copies in the late 1800s with a mimeograph. It was a well used piece of equipment for many years until photocopiers came on the scene. I worked in a school in the mid-1970s. They were still using mimeographs there. They worked fairly well - but I remember getting ink all over the place at times, and when the papers to be copied came through, they would get all crumpled up, especially when you were in a hurry. And sometimes the students had a hard time reading the text - it was smeared or the ink didn't get onto parts of the text. But when the first copiers came into use, there were some real problems with them too - like paper jams! When I read this article, the first thing I thought about was the distinct mimeograph smell. My dad has been a pastor for over 50 years and I remember when he would use his mimeograph machine to make the church bulletin every week. I was fascinated by this big drum that you turned by hand to make several copies of something. I was often in the room with him when he did this and can still remember the smell today. This isn't necessarily a bad smell - just an interesting combination of ink and paper. The mimeograph paper also seemed to feel different or smoother than other paper. It was something that got the job done for him for many years. I don't know if he still has that mimeograph machine around or not. He has used a computer and printer for many years now.